the legendary Dolomites (World Cultural Heritage by the UNESCO), the garda lake with its picturesque cities Malcesine and Limone, the world-famous Arena di Verona and breathtaking Venice – the tour provider has something to offer for all tastes. Drive across the Dolomites: this mythological path through the reign of the legendary “pale mountains” offers breathtaking views of the spectacle of nature. Itinerary: driving through the romantic and wild Val d’Ega we will reach the Lago di Carezza in which you can admire the reflections of the mountain tops. After a break to take pictures, the journey continues over the Passo di Costalunga, on the bottom of the Rosengarten, down into the Val di Fassa to Canazei and further to the Passo di Pordoi which offers amazing views of the Marmolata. After a lunch break, we will cross the Passo Sella where you can admire the Sella mountains and the Sassolungo, into the Val d’Ultimo famous for being the homeland of Luis Trenker as well as its unique wood carvings. 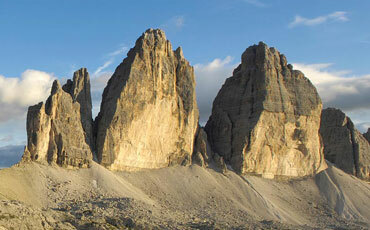 After that, we will reach the high plateau of Castelrotto, the home of the Kastelruther Spatzen. After a further coffee break, the journey will lead through Bolzano and finally back to Merano. Malcesine is one of the most beautiful locations of the Lake Garda. Above the narrow roads of the old fishing town you will admire the Castello Scaligero, the former residence of the rulers of Verona. Limone, on the other hand, is protected by tall cliffs in a bay of the lake, amongst gardens, olive trees and lemon plantations. The town houses, the graceful fishing harbor and the narrow alleys render this place particularly unique. Itinerary: via the Brennero highway we will reach Torbole and from there Malcesine alongside the coastal road on the Eastern side of the lake. After a lunch break we will take the boat and travel to Limone. From there, after a coffee break, we will make our way back to Merano via Riva. Immersed in the water, Venice is a dream come true. The city surrounded by the laguna spreads over 118 small islands which are connected by more than 400 bridges – creating a unique and mysterious atmosphere that will set you right back to the times in which Venice used to be one of the most important cities for the world trade. Countless palaces, churches and other sights are a vivid testimony of the city’s former and current wealth and evoke the historical Byzantium. The unique mix of oriental flair, the rigid Gothic style combined with the purity of the Renaissance melt into the fascinating beauty of the Palazzo Ducale. In addition, the Canale Grande, surrounded by palaces and bridges, remains one of the most beautiful “roads” of the world. 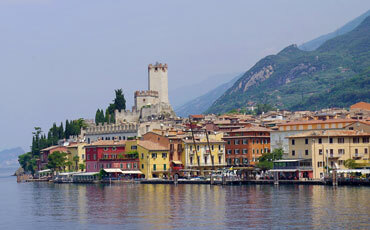 Itinerary: the trip will take you across the Val d’Adige until Trento and then through the Val Sugana to Venice. 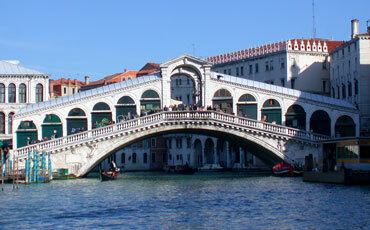 From there, you will adventure on a boat trip on the Canale Giudecca until we reach the mighty Piazza San Marco. You will have plenty of time for sightseeing – the Ponte Rialto, Ponte dei Sospiri, Palazzo Ducale and the square itself are the main attractions – as well as shopping and food. Together we will then navigate the Canale Giudecca again where, at the end, the bus will wait for us to take us back to Merano via Verona, Trento and Bolzano. There are only few cities in the world that have a romantic flair comparable to Verona, the elegant city on the river of the Adige. The main highlights are the wonderful city squares which are spread all across the city and the many historical sites including those in which Romeo and Juliet lived. The combination of historical art, architecture and the lively atmosphere make Verona to a city of contrasts that will catch your attention straight away. Itinerary: the trip will take us to Verona via the Brennero highway. 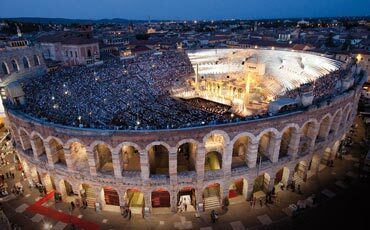 Once arrived in Verona, a tour guide will take you around the city and show you the most fascinating spots. After a lunch break there will be plenty of more time to further sightseeing and shopping, particularly around the Piazza delle Erbe. 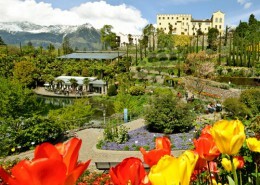 In the late afternoon, the bus will take you back to Merano.